A trip to wine country would not be complete without several winery visits. Proximity to downtown make these excursions simple. Just a quick drive from central Kelowna, you can find yourself in the middle of a vineyard, overlooking Lake Okanagan. Here are two wineries you absolutely must visit. 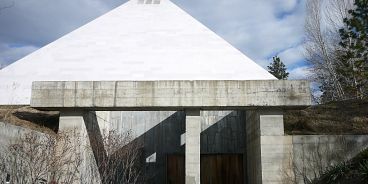 Summerhill is an Okanagan landmark, with its four-storey, solid Egyptian stone pyramid that, dimensions-wise, is identical to the Great Pyramid of Egypt. This spiritual structure is where Summerhill’s organic, biodynamic wines are aged. Founder Stephen Cipes credits all his international wine awards to the effect of sacred geometry on liquids. Must-sips include Cipes Ariel Sparkling Wine and their incredible Syrah Ice Wine (try mixing these together). Another must-visit winery in Kelowna is Tantalus Vineyards, the first LEED certified winery building in BC thanks to an extensive environmental program. What’s especially cool about this riesling, pinot noir and chardonay-centric winery is that 100% of their wines are made from fruit sustainably grown at their vineyard. If you see a $22 glass of Tantalus pinot on a Vancouver wine list, consider splurging. And if you’re looking for a sweet place to stay during your wine touring weekend, consider the charming and historic Hotel El Dorado, located on the waterfront.